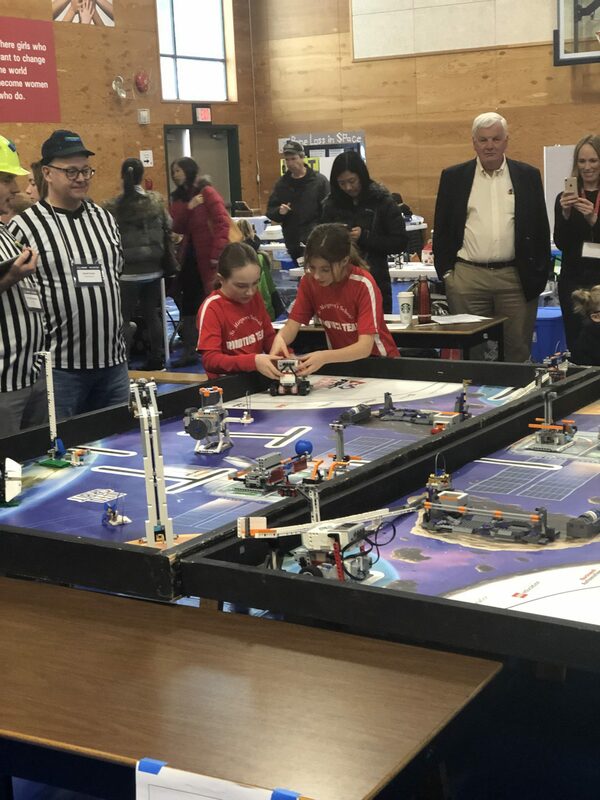 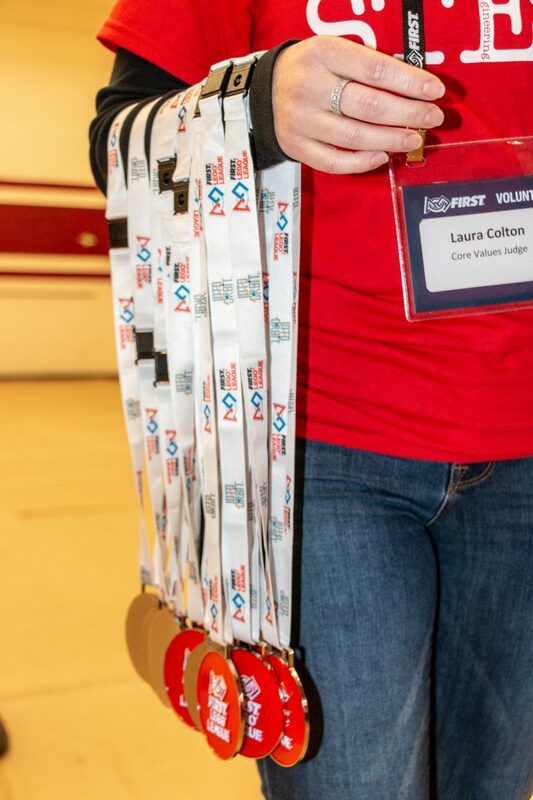 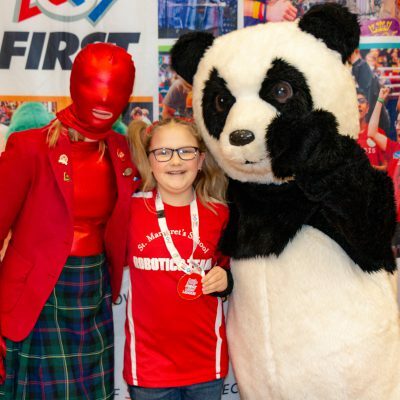 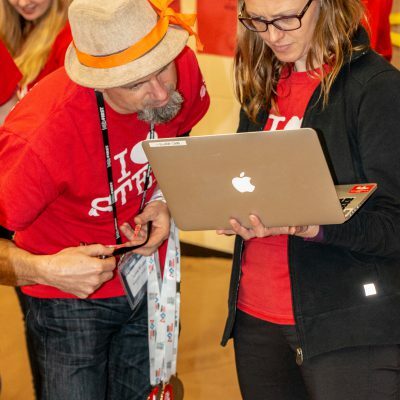 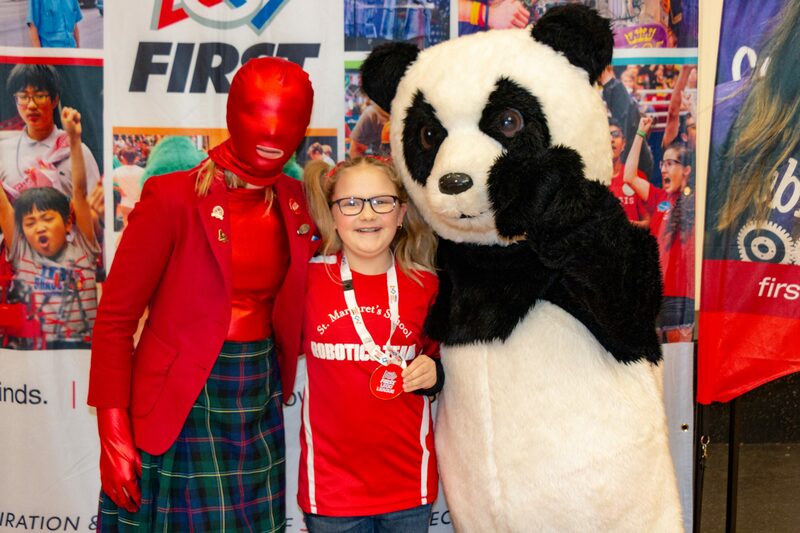 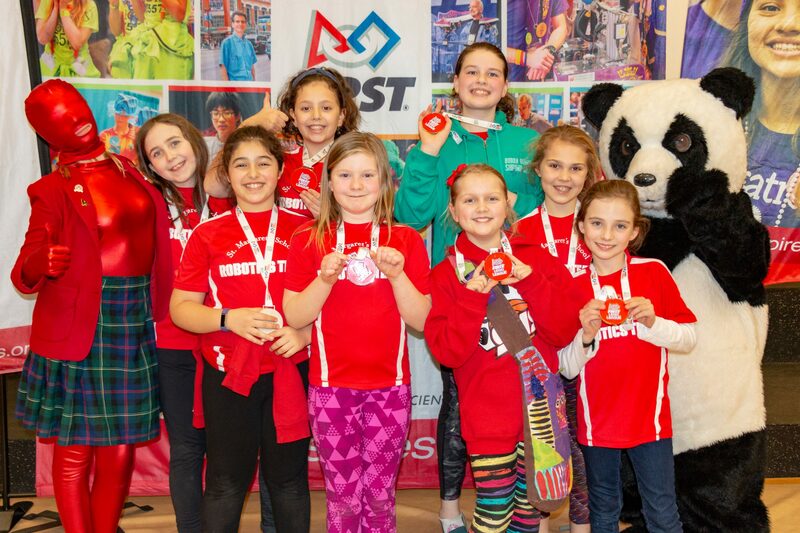 On Saturday, February 2, 2019, SMS hosted 300 students from across BC for the annual FIRST® LEGO® League BC Regional Championships. 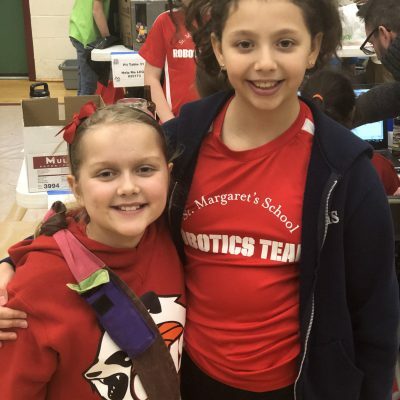 This marks the fourth year that the event has been hosted by affiliate partner, St. Margaret’s School (SMS). 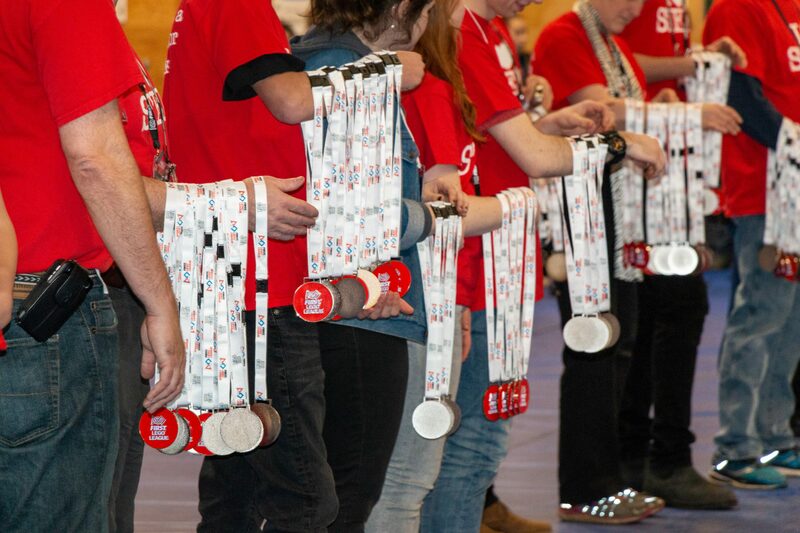 This year’s theme was Into Orbit and centred around humans exploring and working in outer space. 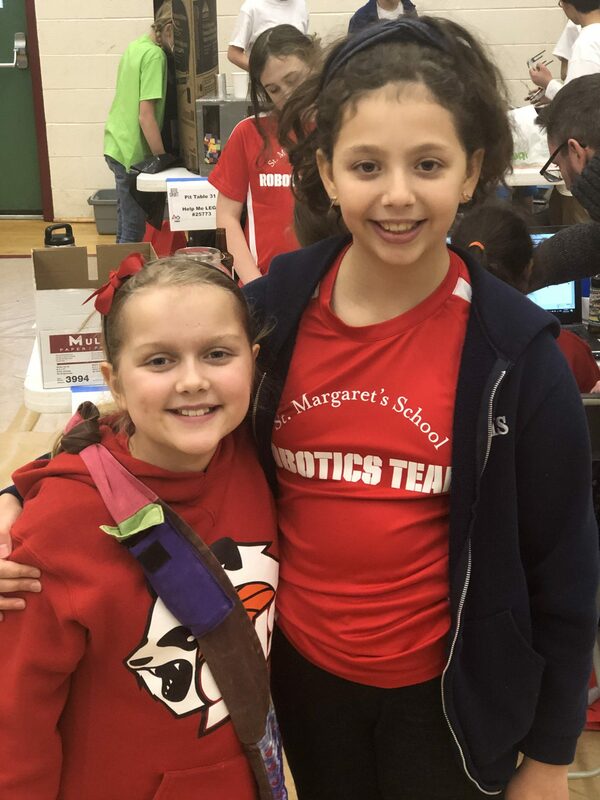 SMS had two teams participate in the tournament style event, and while most of the girls are new to robotics, they showed grit and determination when they hit the stage, keeping their composure under pressure like seasoned veterans. 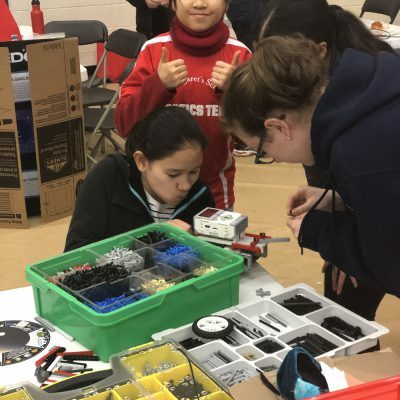 “I’m really impressed with how far the girls have come this season, as most of them were newcomers to Robotics. 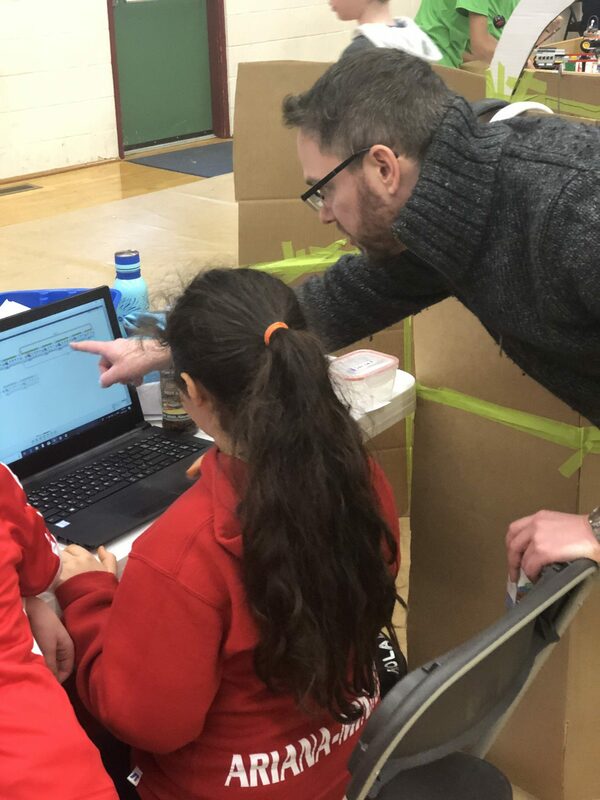 They worked a lot on learning how to program and how to work with others as a part of a team. 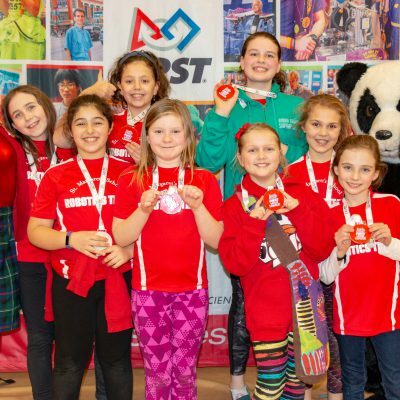 It was great to see them showing their enthusiasm at the championship, and I think that they all had a lot of fun,” said Mr. Jones, who co-coaches the club with Ms. Bar-Hanan. 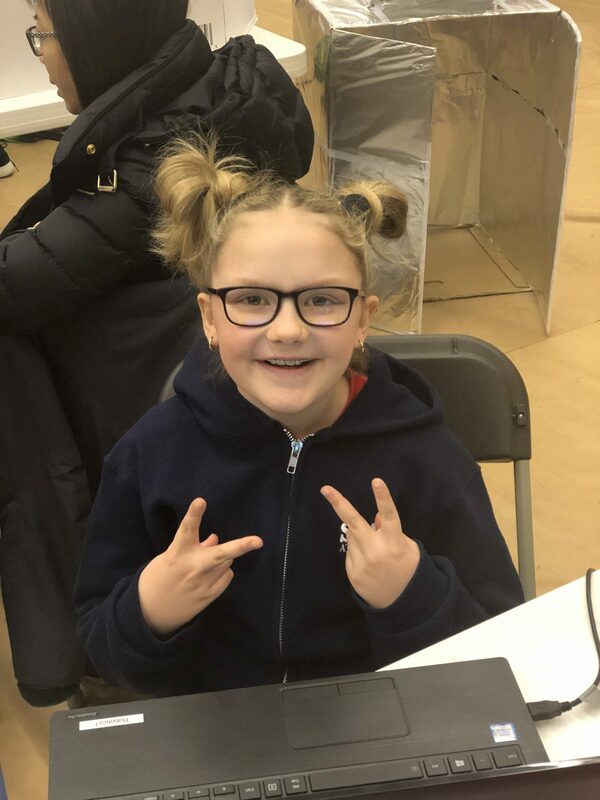 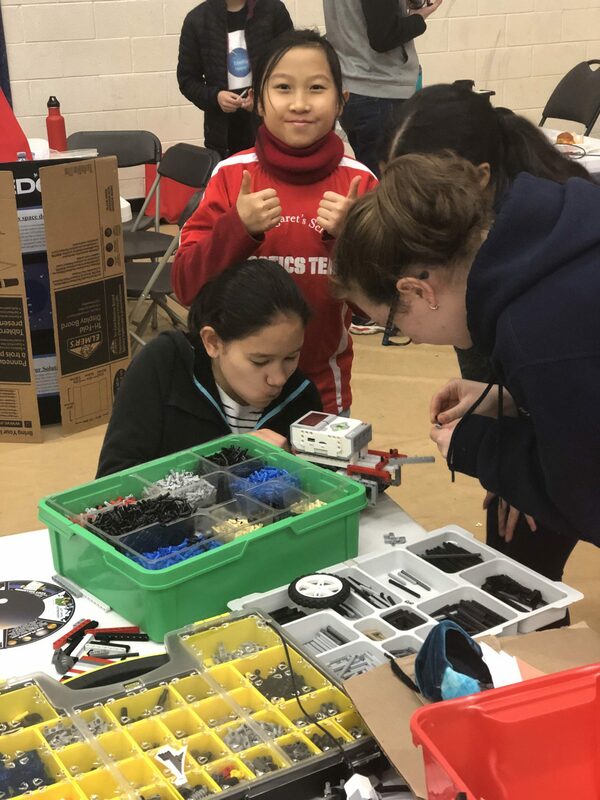 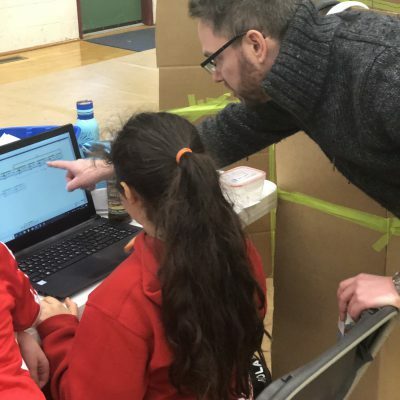 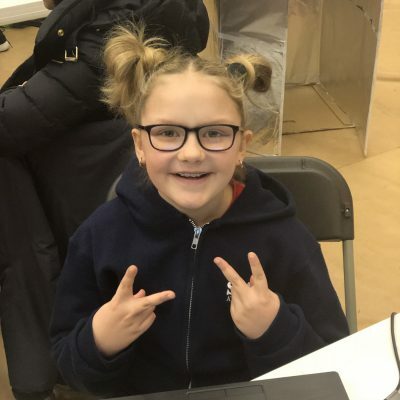 “My favourite part was building and programming the robot, and although we had some failures, it was a great learning experience as we would go back and try to fix the issues and come back with a solution,” said Grade 6 student, Elizabeth Kelly. 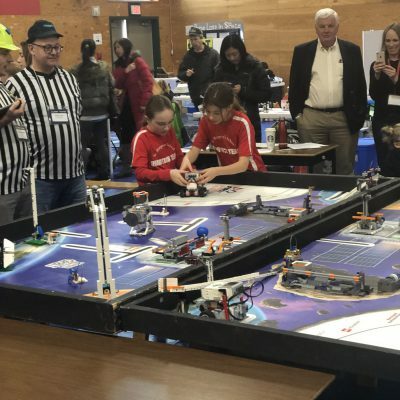 “For me, hosting teams from geographically diverse parts of BC and seeing the tournament grow this year was fantastic. 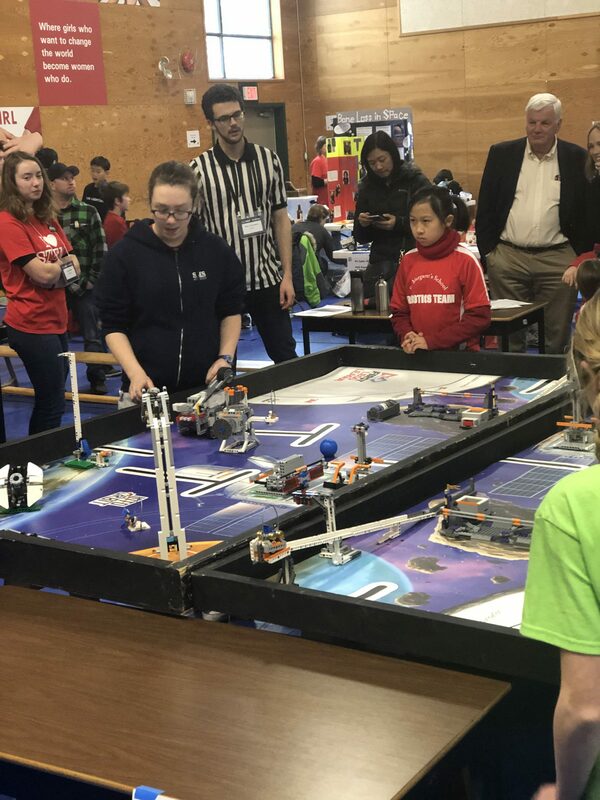 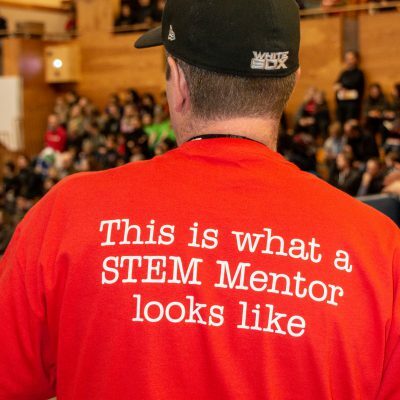 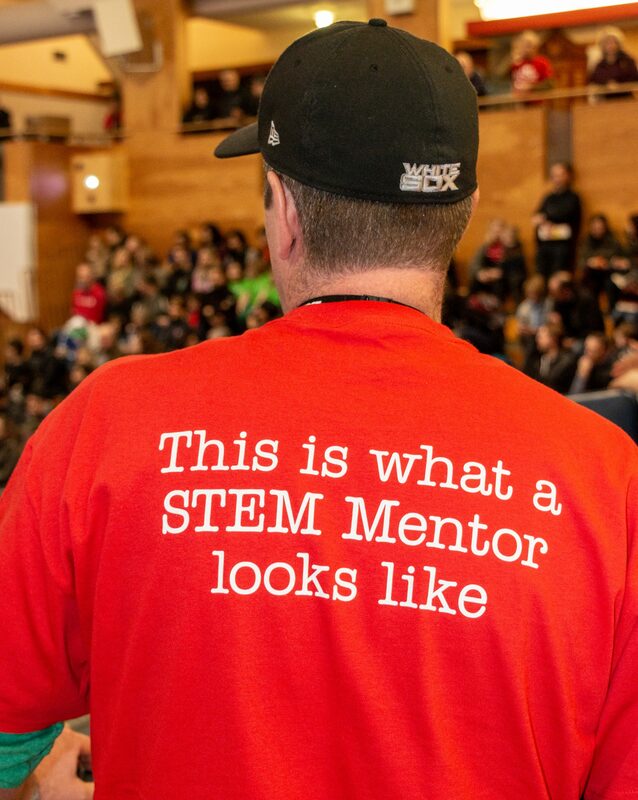 We had teams from Smithers, Whitehorse, Kelowna, Parksville, and more,” said Mrs. Hudson, STEM Program Support Teach and event co-organizer. 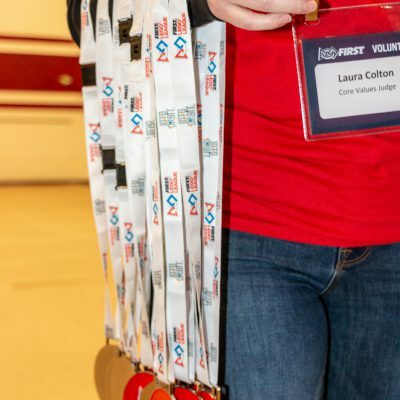 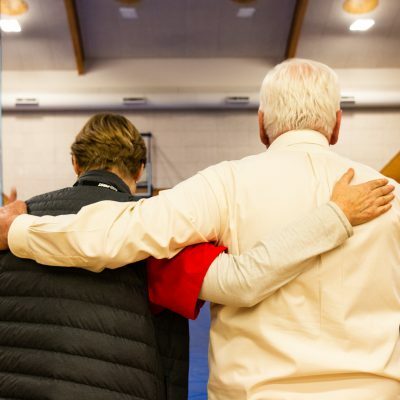 “Another highlight was the 110 volunteers that it took to run the event! 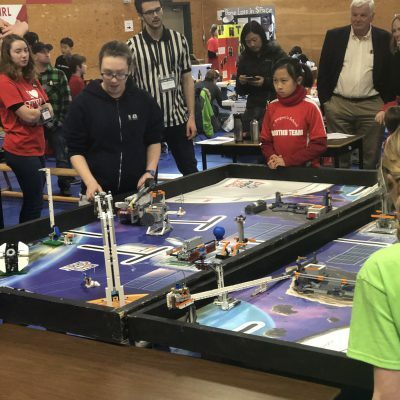 We had 17 SMS Senior Year students volunteer, as well as parents, and members of the Parents Auxiliary who were all integral to the success of the event,” continued Mrs. Hudson. 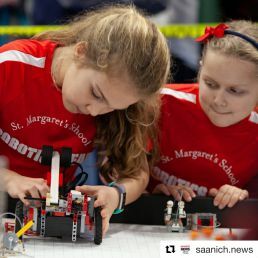 For St. Margaret’s, hosting events like this is a chance to put our beautiful campus on display and it did not go unnoticed. 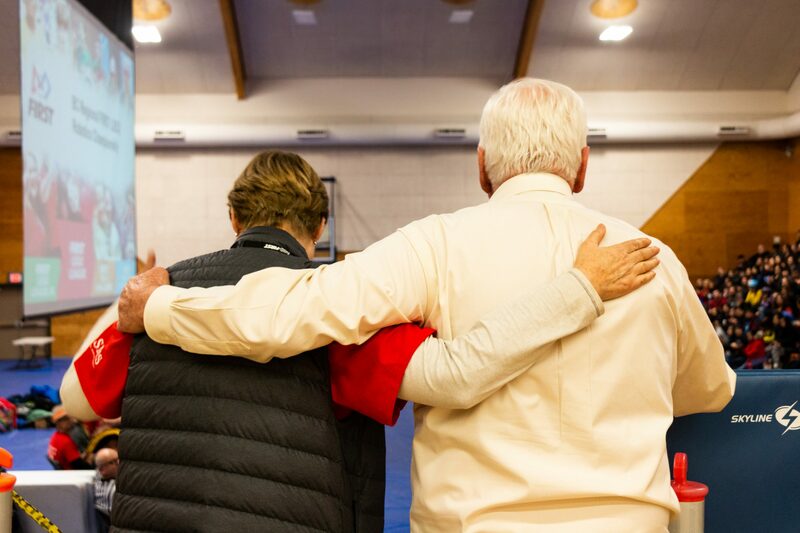 Many attendees commented on our great facilities, warm and welcoming atmosphere and stunning landscapes. 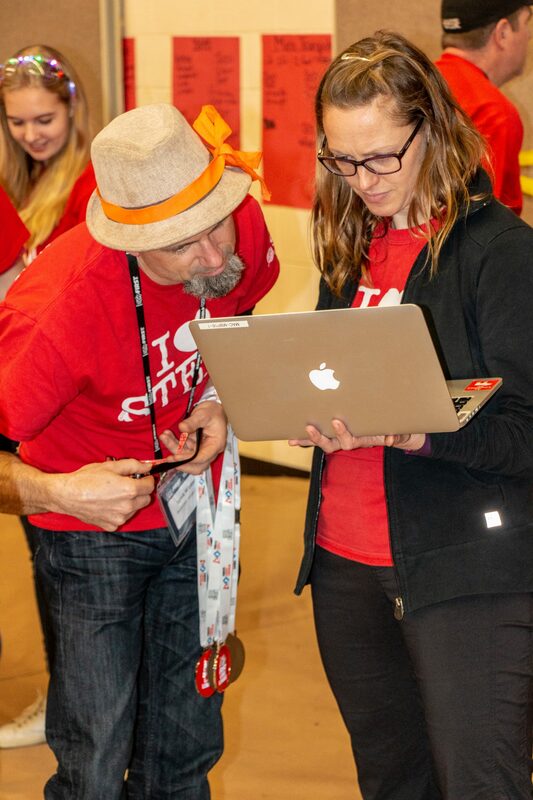 A big thank you to everyone who made the event possible including event organizers Phil Pierce and Lauren Hudson, as well as Michael Latreille, Liam Scott, Janine Cowie, Alan Kesser and all the students, staff, and parents who volunteered their time.